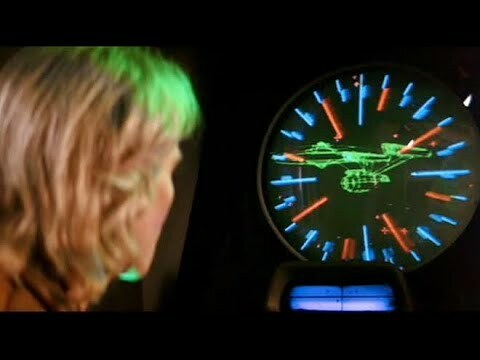 From the moment The Wrath of Khan begins, you are aware that this is a very different Star Trek movie to it’s predecessor. This will continue throughout the movie, with this installment of the Star Trek cinematic franchise being much more concerned with action, high stakes and an actual adventure in space rather than a mystery to be solved. Most of this comes down to the excellent villain at it’s core. Ricardo Montalban is Khan, a genetically-engineered mastermind who wants Kirk dead. Cleverly, he is also a villain from the original series and the movie manages to tie closely to this storyline with a little exposition but a very well-executed showcase of his power and danger. In fact, this Star Trek sets out it’s stall early, making for a much darker movie than the first. The scene in which a creature enters the ears of Walter Koenig’s Chekov and Paul Winfield’s Captain Terrell will have even the most hardened of constitutions shuddering. It is exactly what Star Trek needs though and it means that Captain Kirk and the returning Enterprise crew (all of which are in attendance) actually have someone to fight against and genuine peril to have to deal with. It also helps that William Shatner’s Kirk is given a decent sub-plot of his own, with a past love interest and potential, previously unknown family. Having an actual conflict to face means that the movie gets some proper action. The Enterprise is attacked, the bridge becomes as stable as a ship during a storm and the customary huge explosions and random fires in the ship are all present and correct. This also leads to some hand-to-hand combat too, with Kirk and some of the crew getting off the ship and finding themselves taking it to the enemy first-hand. This mix of a decent storyline and actual, explosive action makes for a much more engaging Star Trek movie but ultimately it will be the legacy of the movie which it becomes known for. The way Kirk manages to foil Khan is clever enough but not without sacrifice and the idea that the film would have the gall to actually kill one of the crew and send ripples through the franchise and probably a shiver down the spines of the fans, helps this film stand-out within the series. It is about the only aspect that helps it stand-out. Within Star Trek, it is a different, exciting Sci-Fi movie but within the larger science-fiction genre, it hardly delivers anything too new or exciting. The finale and the lasting consequence is something new but overall it is a pretty standard space-movie with recognisable actors. Those actors help sell the charm but one issue continues to rear it’s head; William Shatner’s acting! He is required to get slightly more emotional than usual and the now famous “Kaaaaahhhhhn” cry and also his tearful speech to end the movie both just about manage to hold true, although border on the slightly ridiculous. 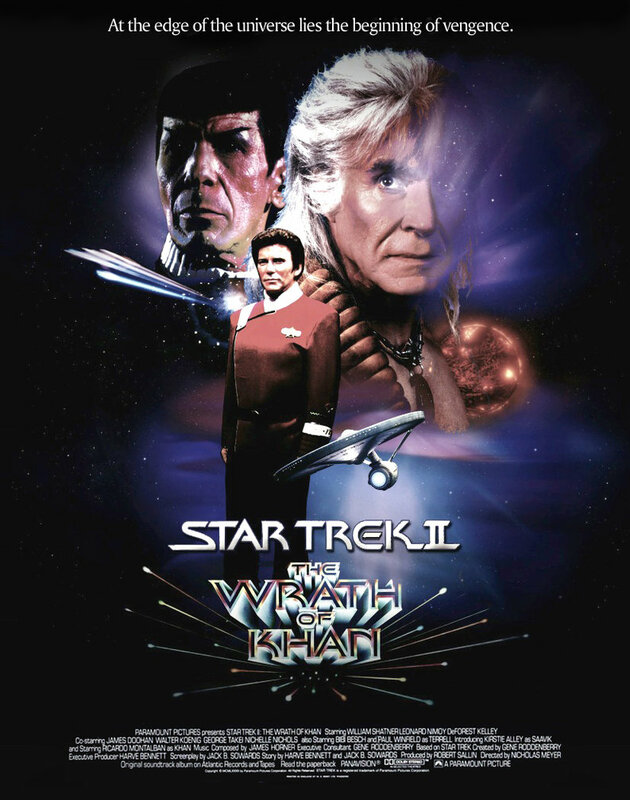 Overall, Star Trek II: The Wrath of Khan is a quality installment in the movie franchise. A interesting villain who offers some actual threat, an adventure that excites with decent action and a story with some larger consequences for the series. Poor acting and generic Sci-Fi aside, this is how to do a Star Trek movie well. I love both this movie and the episode “Space Seed”, that was a great bridge. Curiously yesterday i saw that “Seinfeld” 8th season episode “The Foundation” which features the famous scene with George Costanza yelling “Khaaaaaan” in Shatnerian fashion. I consider that as canon. Next Next post: Final Frontier Fortnight: 8 Actors you didn’t know were in Star Trek movies!